We are bursting with excitement that we can finally share an amazing collaboration we've been working on! We will be sharing much more over the next few weeks, but today we get to give you the preview of our Collaboration with 3M's Command Brand! So, are you ready for Christmas?? Yes, it's that time of year and we can't wait to help you decorate your home! The best part is, because we've teamed up with Command, none of these ideas will damage the walls or any other surface in your home! Good news, right? We thought so, too! So here's the deal: We have put together four distinct trends for the 2015 holiday season (you're gonna love them, promise!) and we have brought them to life in our own homes! The fabulous team from Command flew right here to Kansas City and together, we selected all the perfect Command products to hang everything from outdoor Christmas lights to a full gallery wall, all without damaging a single surface! Christmas goes up...and when you're ready, it can just come right down! So let's get started, shall we? Our first trend is CAMP CHRISTMAS! Imagine cozying up with warm flannel blankets next to a fire burning in the fireplace and the smell of pine filling the room. Camp Christmas embraces a simpler and more family-oriented holiday season. This trend embraces the natural aspects of the holiday season. 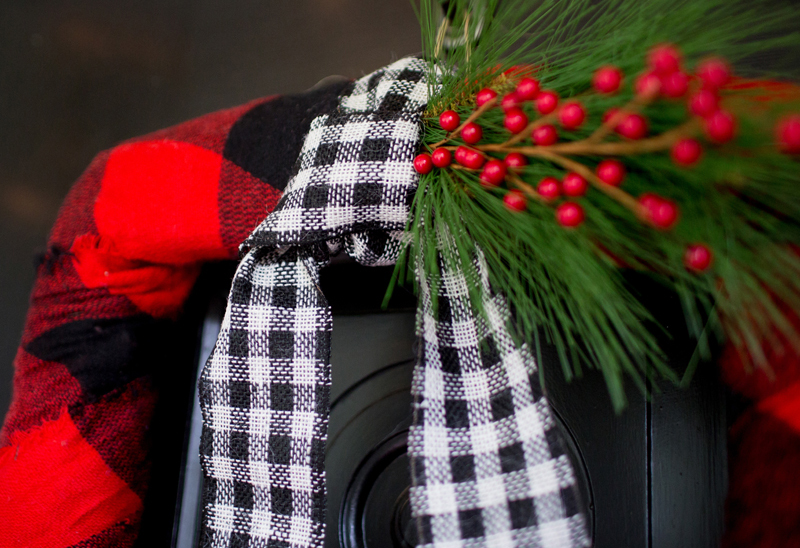 Think red holly berries, pine garlands, and freshly cut firewood. Camp Christmas begs you to forget about your to-do lists and spend time relaxing with loved ones. This trend embraces tradition and welcomes classic Christmas patterning and colors such as plaids and the classic combination of crimson and green. For all the details about the Camp Christmas trend, head to Command.com now!